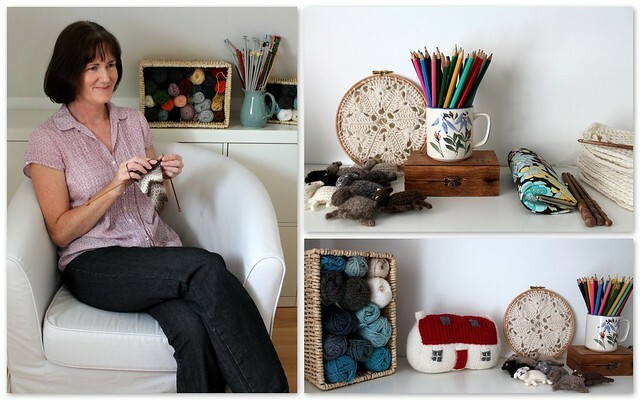 Hello, I’m Julia, I’ve been writing about my knitting projects and ‘other things that catch my eye’ on my blog Hand Knitted Things since 2008. Currently I’m self-publishing knitting patterns as PDF’s for instant download from my website and other places including: Etsy, Ravelry and Craftsy. Two years ago I moved to a croft on the West Coast of Scotland. 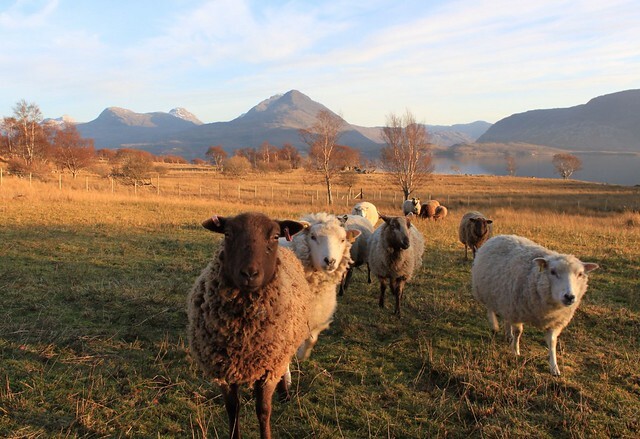 The following year I bought 4 Shetland sheep with the idea they would keep the grass cut and provide some natural colour fleeces for spinning into knitting yarn. The flock has grown in number to 22 (new lambs arrived and more sheep were purchased along the way) with white, brown, shades of grey and black now in the colour range. You can keep up to date with knitting and yarn developments, sheep, sewing, crochet and ‘other bits and pieces’ on my Facebook page and via my blog. 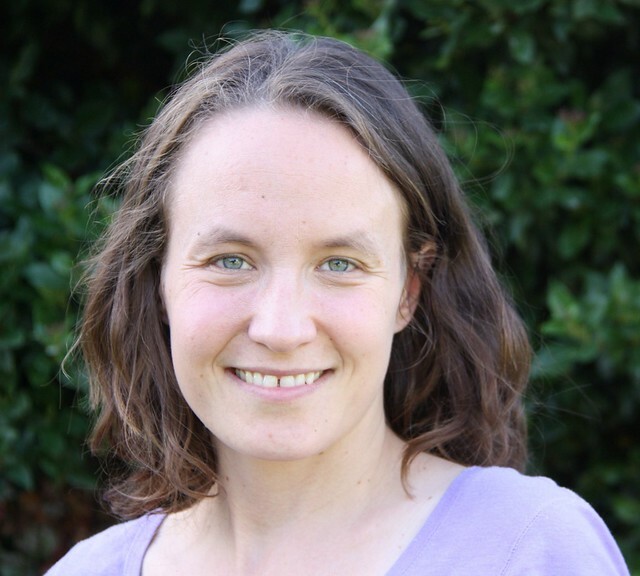 Hello, my name is Rachel, and I’m the woodworker and owner of Little Woodlanders. I live in England with my husband and 2 daughters, ages 3 and 6, and we homeschool. I started making wooden lucets (also known as knitting forks) and toys for my children shortly after I discovered the Waldorf ideas about play and natural materials. 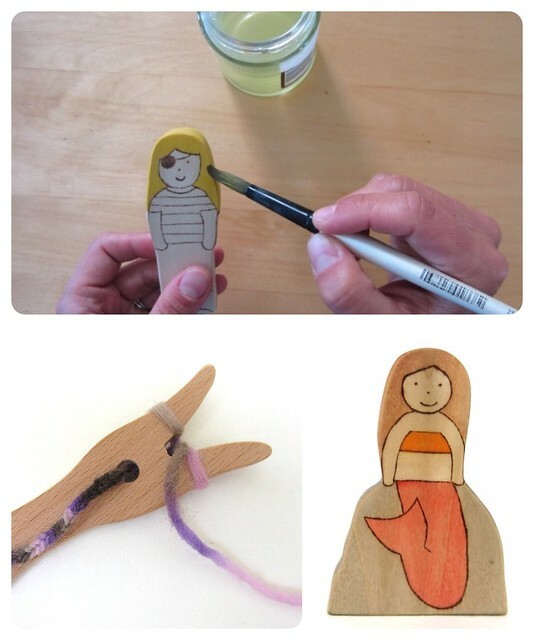 I love the idea of open-ended toys, made of beautiful natural materials, which allow children to use their imagination. It’s such a joy to hold a beautiful wooden toy or tool in your hand, a piece of nature, and even more of a joy watching children’s imaginations go wild with the toys! My inspiration mostly comes from my children. I see what they like to play with and talk about, and often get ideas from them that way. I also get ideas from going outside and from storybooks. I’m always coming up with new ideas for toys and crafty tools. My latest toy is the mermaid on a rock and I’m excited about the new beech wood I’m using on my thin lucets. I’m also working on a new type of lucet which will hopefully be available in the next couple weeks! I have a couple other new ideas in mind for wooden craft tools as well! You can keep up with my latest news on Facebook, Twitter, Pinterest, and Flickr. You can check out my Etsy shop and see some product and ‘how to lucet’ videos on my YouTube channel. If you have a blog, or business you think would be of interest to Crafts from the Cwtch readers, please take a look at this page to find out more information about being featured in a "Say Hello" post. Thank you Sarah, it's lovely to be on your blog...from Julia. I love how the first lady moved to Scotland and started acquiring sheep! The lucets look fascinating. I'll need to check them out. Maybe Santa can deliver one to the 6 year old.